invitation to a banquet, originally uploaded by Mockduck. 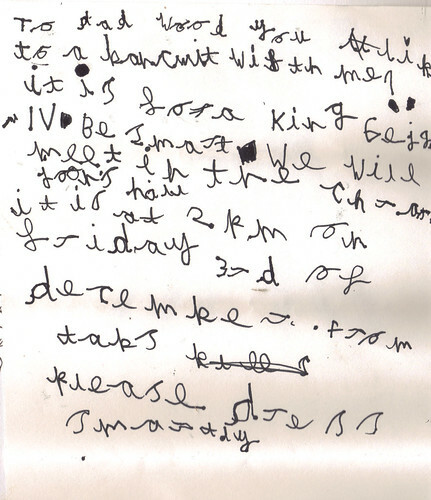 Item's writing - much improved in this invitation to The Boy. "To dad wood you like to a bancuit with me? it is for a king giege IV. Be smart. we will meet in the chrarjoon's [children's] hall. it is at 2pm on friday 3rd of december. from tabs please dress smartly"